The Northern region of France, known as Nord Pas-de-Calais, is characterized by a rich landscape of rolling hills, green meadows, polders, lush forests and quaint villages. Its location in the heart of northwestern Europe has exposed it to a smattering of cultures of historical significance – the Spanish influence, the Roman/Italian renaissance, Flemish windmills and French baroque. Within this merging of cultures, the people of this region are among the most celebratory in Europe, with their joie de vivre attitude that spills out into the town squares as carnivals, flea markets, parades and fanfares. This northern region shares a border with Belgium, one of the greatest brewing wonderlands in the world. 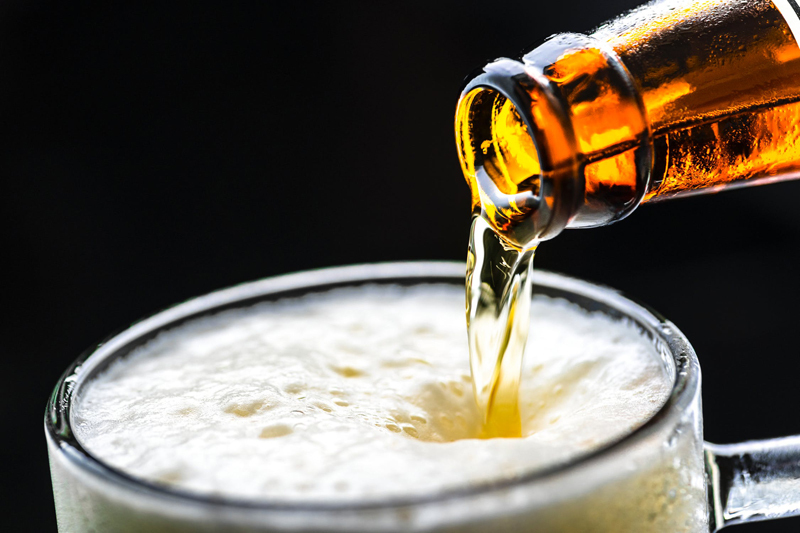 As is the custom of French Flanders, beer is the traditional drink, a love that displays the style and finesse of the people, along with their dedication to artisanal tradition. This is the center of bieres de garde, or beers for keeping, the ales that were brewed to last throughout the summer months. Like the saisons of Belgium, these bieres de garde were farmhouse ales brewed for the farmers and their fieldhands, but were vastly unique in flavor. They were intense, invigorating, strong – and stored in traditional champagne bottles. You might interpret the champagne bottle, with cork and wire hood, to be a statement about an elitist cultural attitude toward beer in this region of Europe. However, the champagne region of France lies fifty miles to the south, and the convenience of using the same bottles led to the tradition for biere de garde. These beers may be flattened gold to intense amber in color, the result of lightly kilning the barley malt. They generally have an earthy character, with anise, exotic spices and herbal wood undertones. You may find a sweetness or fruitiness in the center, along with flavors of biscuit, and the warming splash of alcohol. It has a rounded smoothness, the result of the process of warm fermentation, followed by cold maturation. Bieres de garde are the ideal complement to the well stocked table in the Nord Pas-de-Calais. These marry well with the famous moules-frites, waterzoi, coq a la biere, Maroilles cheese tarts, and carbonnade flamenade. 3 Monts Grandé Réserve Spécial Ale – Brasserie de Saint-Sylvestre, St. Sylvestre-Cappel, Steenvoorde, France – burnished, glowing amber with a fluffy white head and minimal lacing. Extremely complex merging of herbs and grass, pear, green apple and sweet malt. Subdued citrus tones, with spicy earthiness and alcoholic warmth. Biere de Garde – Cambridge Brewing Company, Cambridge, Massachusetts, USA – Hazy amber glow with a thin ring of lacing. Biscuity malts with mild tartness and earthy overtones. Finishes complex and dry. Jenlain Original French Ale – Brasserie Duyck, Jenlain, France – Deep amber jeweltones with frothy white head and garnet lights. Hints of apple, pear, lemon citrus, and figs. More amply sweet than tart, with pleasant spiciness. Les Biere Des Sans Culottes – Brasserie La Choulette, Hordain France – Hazy, crystallized honey tones with thin foamy lacing. Light fruitiness of apricot and green apples, with spices and slight sour tartness. St. Armand – Brasserie Castelain a Benifontaine, Benifontaine, France – deep orange hue with fluffy head and light lacing. Light and herbal with grassiness and subtle hop presence that balances the dry biscuit. Faintly fruity with hints of spice. Intense. Biere D’ Art – Heavyweight Brewing Company, Ocean Township, New Jersey, USA – deep hazy-morning amber. Earthy with slight sweet tones and flavors of dark bread and caramel. Light, yet intense, alcohol crispness. Domaine Du Page French Style Country Ale – Two Brothers Brewing Company, Warrenville, Illinois, USA – Reddish bronze with fluffy white head. Green and vegetal tones, with sweet-sour apple complexity that intensifies as it warms. Some malty bread sweetness. Enjoy some of France’s best-kept secrets!